It never fails to come as a surprise. The midwestern states always seem like vast stretches of nothing until, wham! They hit you with something truly spectacular. 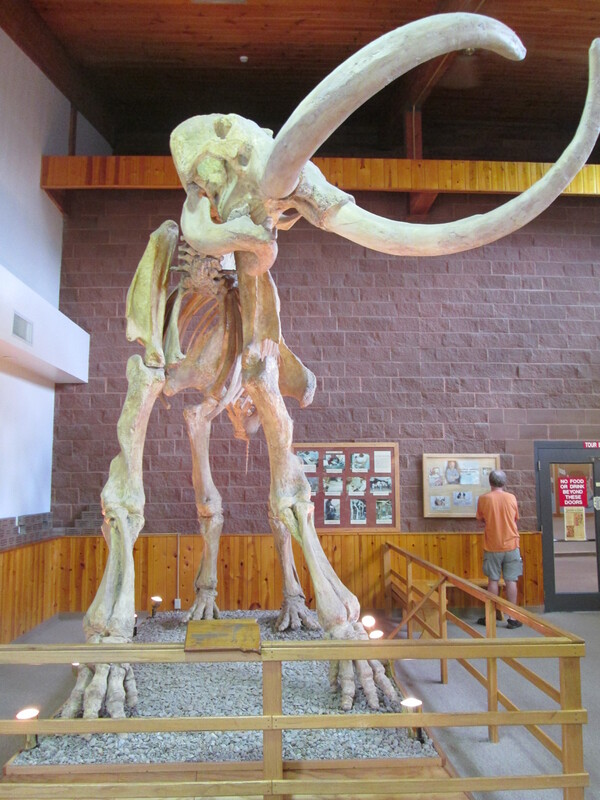 Or, in the case of Rapid City, with many things truly spectacular. It doesn’t seem like much at first. 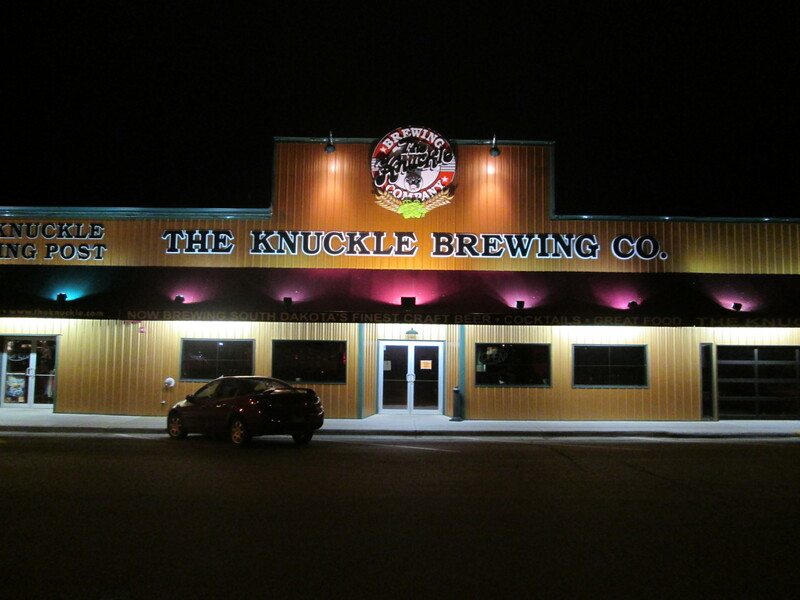 A good-sized town tucked away in the northeast corner of South Dakota, not far from Sturgis of “Sturgis Raw!” fame, which fans of The History Channel will recognize in an instant as the site of one of the biggest motorcycle rallies in the world. 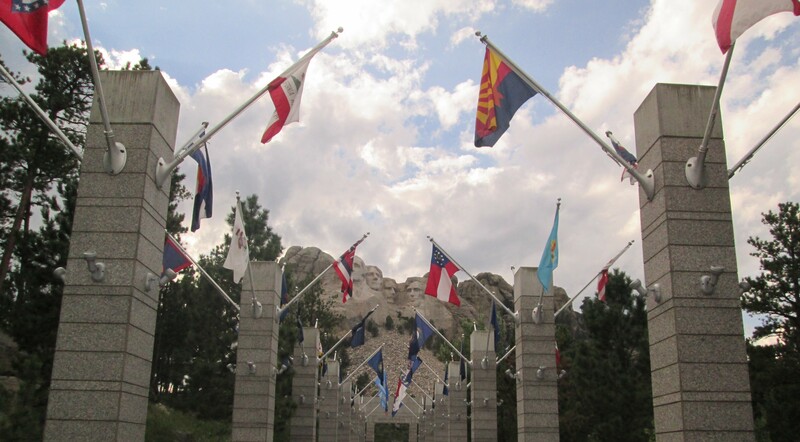 Every day, thousands of people flock to Mount Rushmore, to this ultimate homage to dead presidents. It is so cheesy, yet so reassuring. It reminds us that in fifty years currently popular celebrities like Kim Kardashian and Pitbull will be long forgotten – yet these four presidents will live on in the American imagination. 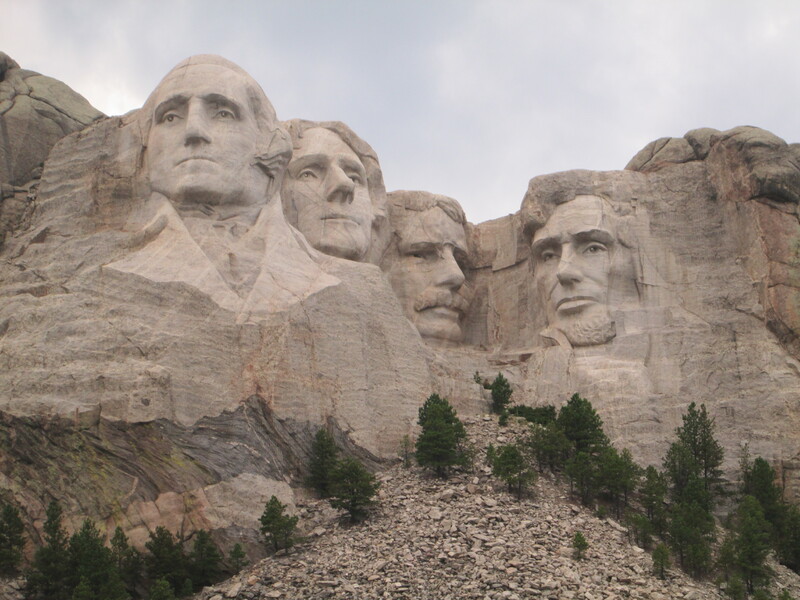 Not because of their principles, not because of their achievements, but because some sculptor thought it would be really cool to memorialize their heads on the side of a mountain. 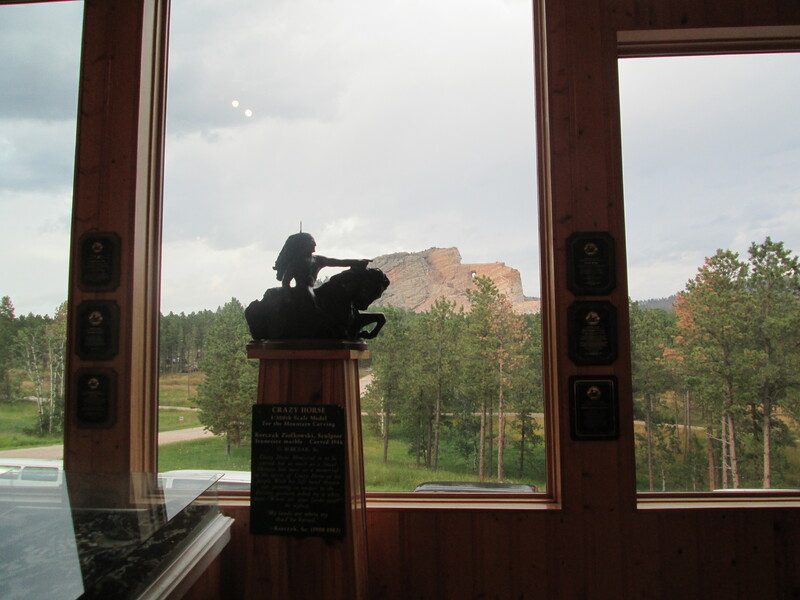 That’s right; this mountain is – or is going to be – a monument to Crazy Horse, the famed Indian warrior who inspired such fear and admiration in the spirits of white men, and who, a century and a half later, remains an icon of the Plains Indian to both red and white men alike. This massive project – which, if completed, may be the largest sculpture in the world – receives no federal funding and has been a work-in-progress since 1948. 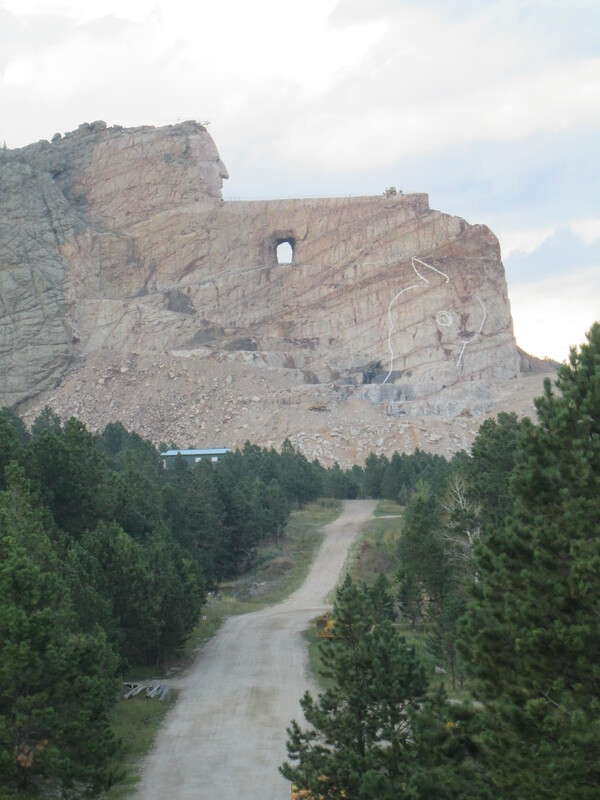 However, I think it’s safe to say that even if the project is never finished, it has ensured that Crazy Horse will enjoy a permanent place in American history. 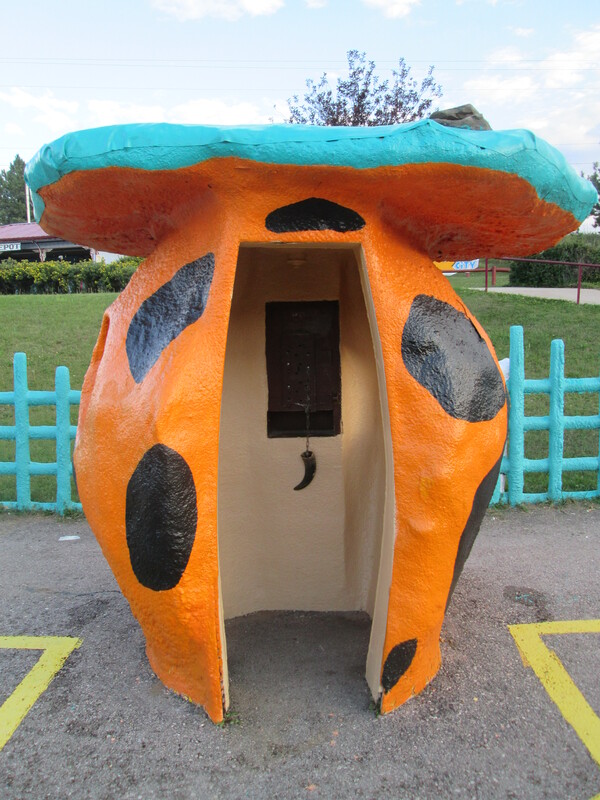 … or make a call from the Bedrock phone booth, which can be really handy if, like me, you have a third-rate cell service provider and your phone hasn’t worked in a week. 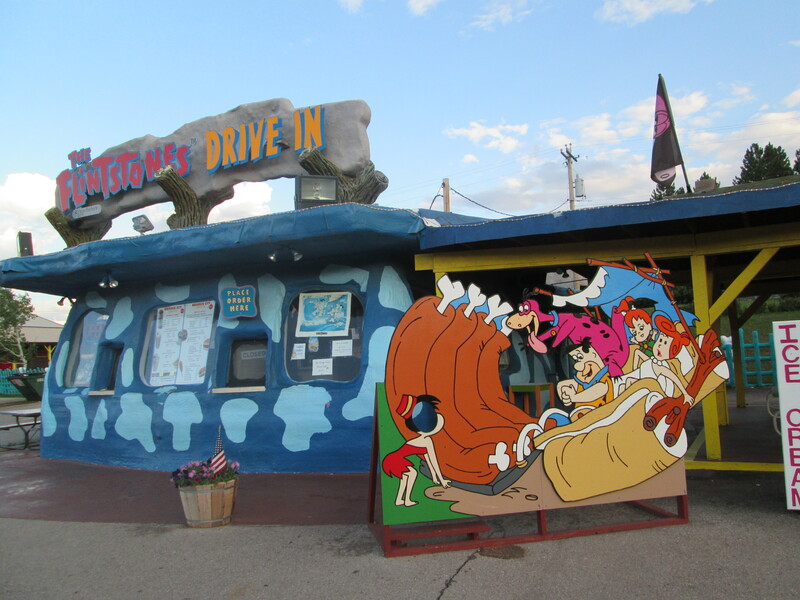 This entry was posted in Travel and tagged books, Crazy Horse Monument, Custer State Park, Flintstones Theme Park, landscapes, memoir, Mount Rushmore, Rapid City, reading, road, road trip, roadtrip, South Dakota, The Long Road Home, travel, United States of America (Country) on September 2, 2014 by lorilschafer. Not much shaking with old Crazy Horse, it there? I was there in 1984, for the first of three times, and he really had evolved alot since I saw him again in 2008. One would hope! 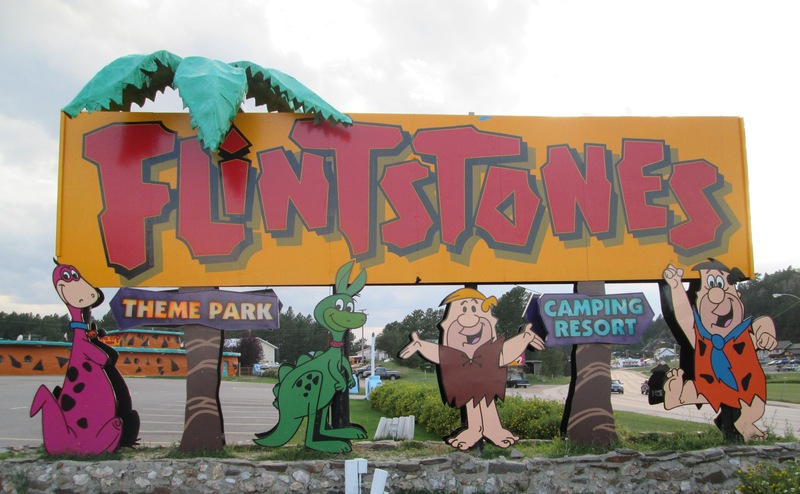 I fondly recall that Flintstone Park, too. What a great journey! We always stopped at Wall Drug passing thru from MT to MN. I guess we missed these wonders!